There’s plenty to be proud about at the 2018 Pride of Warwick District Awards! Does it get much better than being named Business of the Year? 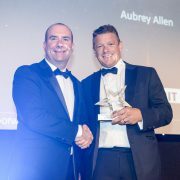 Seeing the smiles on the faces of the Aubrey’s team upon winning the award at the Chesford Grange in September you’d be right in thinking it doesn’t! Surrounded by fantastic local businesses and community heroes, the team enjoyed an evening celebrating those things that make this region so great to be a part of. It’s been a busy couple of years for the Leamington Spa shop… pop-up restaurants, seasonal collection launches, weekly support of local charities, the installation of a fantastic cheese shop – we use the tagline more than a butcher with pride. Our award-winning meat sits alongside vegetarian dishes prepared by our in-house chef, picnics and gift hampers, not forgetting our brilliant Butchery School and customer loyalty card. And plans for the next 12 months? There’s no time to rest on our laurels…it’s all about being better than ever! https://www.aubreyallenleamington.co.uk/wp-content/uploads/2018/09/Russ-award.jpg 1365 2048 aubreydeli https://www.aubreyallenleamington.co.uk/wp-content/uploads/2017/11/AA-Header-Logo-INV.png aubreydeli2018-09-24 11:25:552018-09-24 11:25:55There's plenty to be proud about at the 2018 Pride of Warwick District Awards! Beer and music – a perfect match! There’s few things we love more than enjoying a nice cold beer while listening to fantastic music and this weekend we can do it on our doorstep! 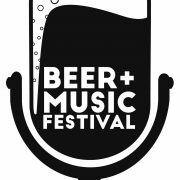 The Leamington Beer & Music Festival is back for the 4th year and we can’t wait to sample one (or two!) of the 75+ real ales, ciders, gins and wines from a variety of local and national brewers that will be on offer. We’re delighted to be sponsoring a barrel so maybe we’ll see you down there for a taste of our beer – all in the name of research, of course! https://www.aubreyallenleamington.co.uk/wp-content/uploads/2018/09/Leam-Beer-Fest-e1536929675509.jpg 981 500 aubreydeli https://www.aubreyallenleamington.co.uk/wp-content/uploads/2017/11/AA-Header-Logo-INV.png aubreydeli2018-09-14 12:55:162018-09-14 12:55:16Beer and music - a perfect match! The Leamington Food and Drink festival is here! Now in it’s 11th year (and the 11th year in a row that Aubrey Allen has exhibited), the Leamington Food & Drink Festival is back this weekend! 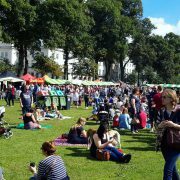 On Saturday 8th and Sunday 9th September the Pump Room Gardens will be packed full of discerning food lovers, local businesses, families, bands, and many more to enjoy two days of the best food and drink that Leamington has to offer (and that’s quite a lot!). Aubrey Allen pop-up cheese shop! 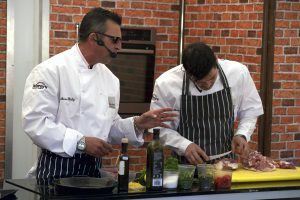 Keep your eyes peeled for Russell Allen and Simon Kelly each doing live demonstrations over the weekend as well as last year’s Home Cook champion, Sophie Hyam, who’ll be cooking up a storm with our chicken! Live from the Cookery Theatre on Sunday lunchtime will be the nail-biting final of this year’s Home Cook of the Year competition. Our three finalists -Tim, Trudie and Sean – have been practising their best lamb dishes for the past month and are ready with crisp white chefs jackets to cook head to head live on stage! So, come rain or shine, we’ll see you there! https://www.aubreyallenleamington.co.uk/wp-content/uploads/2018/09/Crowds-small.jpg 720 1280 aubreydeli https://www.aubreyallenleamington.co.uk/wp-content/uploads/2017/11/AA-Header-Logo-INV.png aubreydeli2018-09-04 14:47:132018-09-04 14:48:58The Leamington Food and Drink festival is here!